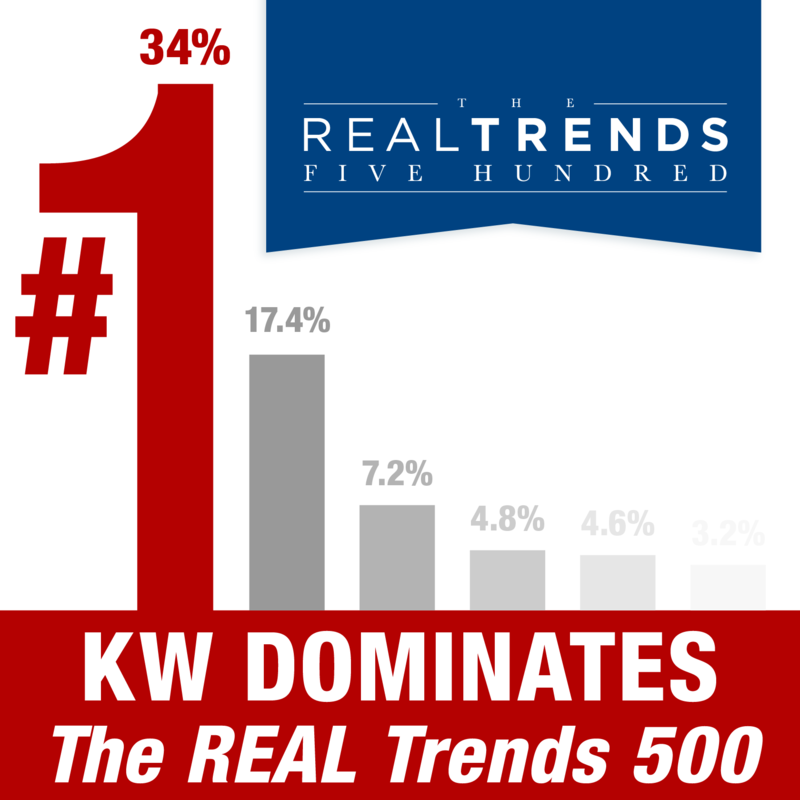 AUSTIN, TEXAS, April, 02, 2018 — Keller Williams, the world’s largest real estate franchise by agent count and the U.S. leader in units and sales volume, had the most top producing brokerages on the REAL Trends 500, according to the annual ranking and reporting published by REAL Trends, Inc.
Keller Williams La Quinta closed 1141 transactions in 2017, up 31.6% over 2016, ranking it as one of the top firms in the Coachella Valley region. $25 Million+ Achievement – Signe, Inc. Asked about how things are going at Keller Williams La Quinta, Mark Kunce – Team Leader of Keller Williams La Quinta said that their focus on training and providing new technology helped creating more opportunities. “We have good momentum right now. We are opening a KW Commercial Division at our market center and rolled out new Real Estate License School system. Our 2018 Agent Leadership Council is planning many coaching events and social events, and the up-coming Red Day. And we are also planning to launch KW KIDS CAN this year, which I am very excited about”. 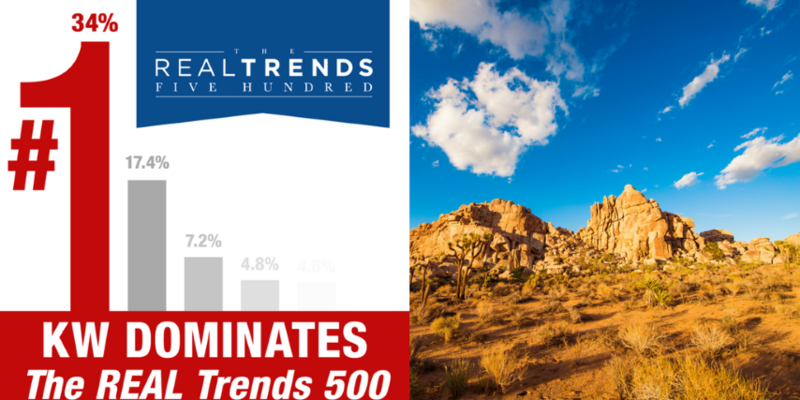 Ranked by transaction sides, 170 Keller Williams brokerages appeared on the REAL Trends 500, including KW- Hilgernberg Group (La Quinta, Rancho Mirage, Redlands, Big Bear). These brokerages handled more than 714,900 transaction sides, up 10.8 percent over the 2016 report. Austin, Texas-based Keller Williams, the world’s largest real estate franchise by agent count, has more than 940 offices and 178,000 associates. The franchise is No. 1 in units and sales volume in the United States. In 2018, Training magazine inducted Keller Williams into its Hall of Fame of top training organizations across all industries in the world. Since 1983, Keller Williams has grown exponentially and continues to cultivate an agent-centric, education-based, technology-driven culture that rewards agents as stakeholders. The company also provides specialized agents in luxury homes, commercial, and land properties. For more information, visit kw.com. RED Day, which stands for Renew, Energize and Donate, is our annual day of service. Each year on the second Thursday of May, we celebrate RED Day as a part of our legacy worth leaving. Making a difference in the lives of others and bettering the communities that we serve lies at the heart of the Keller Williams culture. This observance defi nes who we are and is a natural extension of our commitment to the highest level of professional customer service. Over time, a growing number of our family members and friends continue to participate in this extraordinary event. It embodies the generous spirit and commitment associates have to “giving back” to the cities and towns they live and work in. KW Kids Can is an educational nonprofit founded to engage the next generation of entrepreneurs and world leaders in conversations that matter. Our learning program teaches young adults how to gain their edge in an increasingly competitive world. Students walk away with concrete tools that help them pursue the life they desire.